This week Access All Areas members have another useful website PSD template to download courtesy of bigpsfan. Quest is a professionally designed single page creative portfolio with 6 PSD files covering a range of layout options. The templates make use of Google Fonts and is based on the Twitter Bootstrap grid to streamline the process of coding the concept into a fully working website or WordPress theme once you have personalised the design. 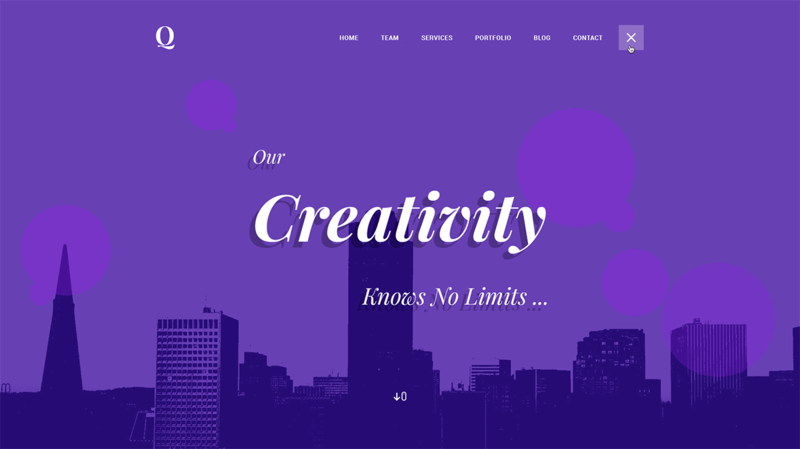 Akbar Hossain, Co-founder and lead UI Designer at Jewel Theme is a PSD Template and Graphic Designer who creates and sells website themes and web elements on his bigpsfan store. Designs are available for a variety of website topics including resumes, portfolios, businesses, personal blogs, charities, app landing pages, restaurants and more. Choose from the range of layered PSD files, coded HTML site templates and responsive WordPress themes to quickly build websites for yourself or your clients. The Quest portfolio template contains 6 layered and fully editable PSD templates to give you a head start with your portfolio website with this ready made design. Layouts include two homepage options, blog archives, blog single post, portfolio, and portfolio details.